Many a child has been known to wait all year to come back to Gan Israel! From pre-scholars to our senior division, campers will enjoy a wide range of exciting activities and field trips in a warm and vivacious atmosphere. The real secret to our success lies in our outstanding staff. Our counselors are known for their personal warmth and their ability to care for each child as an individual. Many staff members return year after year, lending experience and continuity to all programs. Each counselor is a role model for our children, promising them friendships which will last forever. Their love for the children is perhaps surpassed only by the children’s love for them. 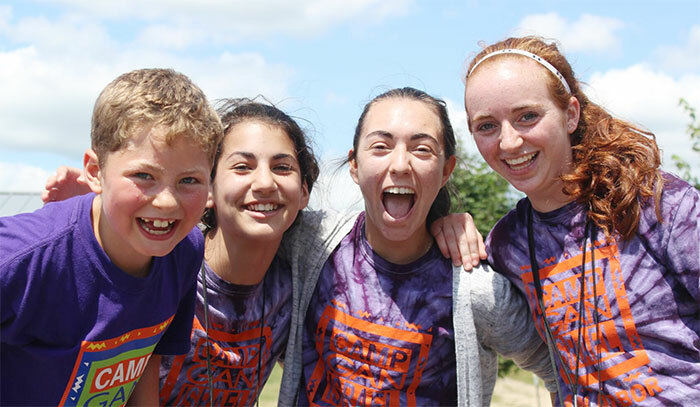 Camp Gan Israel is a summer camp dedicated to enriching the lives of children from diverse Jewish backgrounds and affiliations through a stimulating camping experience. Our dedicated staff assures you that our focus on child safety and program quality is unparalleled. CGI of Ann Arbor is part of the largest and fastest growing network of day camps, enjoying a reputation as a pioneer in Jewish camping, with innovative ideas and creative activities, to both provide enjoyment and inspire children to try new and exciting things!